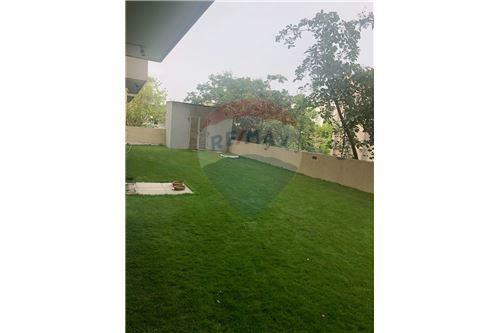 It offers 4 BHK Apartment in Ahmedabad West. The project is Completed and ready possession. Among the many luxurious amenities that the project boasts are Club House, CCTV Surveillance System, Landscaped Gardens, Children's play area, Fully Automatic Water Softening Plant & Hydro Pneumatic Pressure System etc. 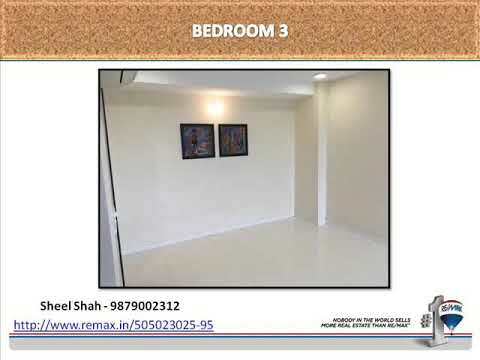 4 BHK Highend Apartments with terace rights for sale in Vardhman Hills, Nr. ISRO, Unique park, Jodhpur Tekra, Satellite - Ahmedabad. Vardhman Hills is located in the Green and Serene patch of Unique park which is next to Bhavnirzar. The project is surrounded by the wonderful Large Bungalows of Nandi hills and Unique park. Vardhman Hills is a project of 4 floors with 8 units of High End 4 BHK Apartments with 2 units on each floor. 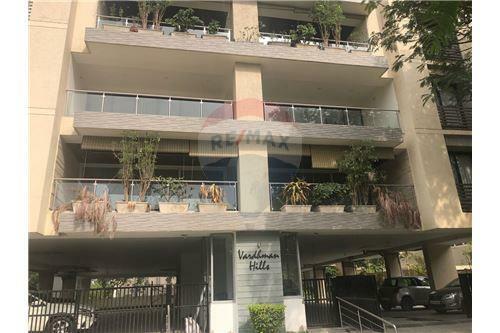 The flat is a 4 BHK + Formal Living + Servants Quarters in the basement and comes with 3 Allotted Car Parking for each flat !!! --> fully automatic water softening plant and hydro pneumatic pressure system. 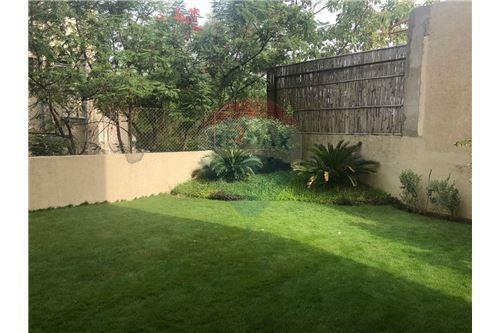 Over all Vardhman Hills with its Location, Specifications and Over all Planning is definitely a top notch project where such greenery within city limits which can only be dreamt of ..
Come have a look at the location and project presentation with us!!! Call us for more details or queries!!! 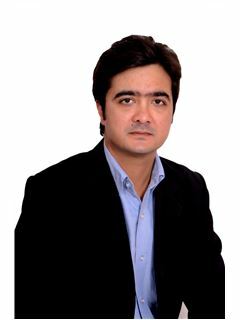 It offers 4 BHK Apartment in Ahmedabad West. The project is Completed and ready possession. Among the many luxurious amenities that the project boasts are Club House, CCTV Surveillance System, Landscaped Gardens, Children's play area, Fully Automatic Water Softening Plant & Hydro Pneumatic Pressure System etc. 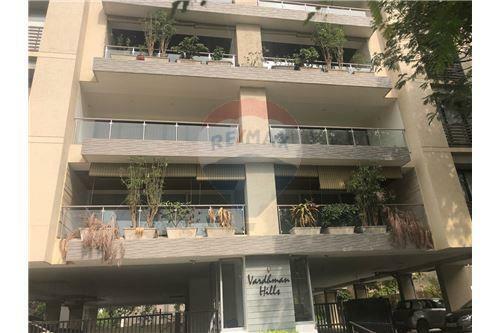 4 BHK Highend Apartments with terace rights for sale in Vardhman Hills, Nr. ISRO, Unique park, Jodhpur Tekra, Satellite - Ahmedabad. Vardhman Hills is located in the Green and Serene patch of Unique park which is next to Bhavnirzar. The project is surrounded by the wonderful Large Bungalows of Nandi hills and Unique park. Vardhman Hills is a project of 4 floors with 8 units of High End 4 BHK Apartments with 2 units on each floor. 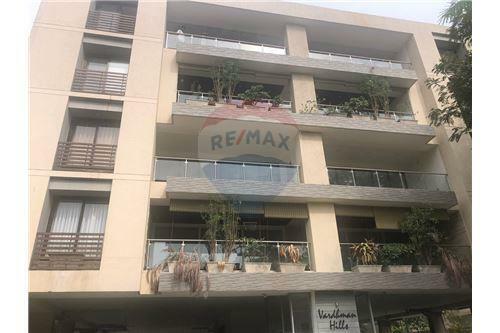 The flat is a 4 BHK + Formal Living + Servants Quarters in the basement and comes with 3 Allotted Car Parking for each flat !!! 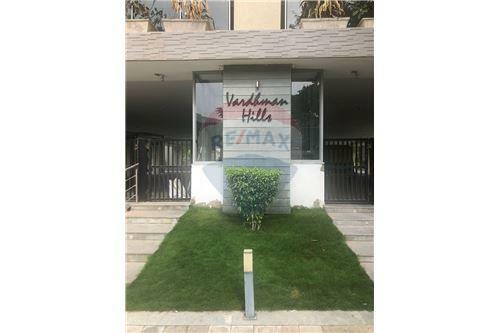 Vardhman Hills is a High End project with great Specifications : --> 3 car parkings --> advanced security system with cctv --> video door phone & intercom facility --> fully automatic water softening plant and hydro pneumatic pressure system. --> club house / gymnasium --> children's play area --> landscaped garden --> servant's room & adequate utility spaces --> natural stone floor / vitrified flooring --> specially designed bathrooms --> provisional concealed piping for split air conditioning Over all Vardhman Hills with its Location, Specifications and Over all Planning is definitely a top notch project where such greenery within city limits which can only be dreamt of .. Come have a look at the location and project presentation with us!!! Call us for more details or queries!! !